Price includes: $2,000 - Kia Customer Cash. Exp. 04/30/2019 2019 Kia Soul Base Rear Camera, Auto AC, Bluetooth Bright Silver 4-Wheel Disc Brakes, Automatic A/C Temperature Control, Convenience Package, Exterior Parking Camera Rear, Fully automatic headlights, Illuminated entry, Radio: AM/FM/MP3/SiriusXM Audio System, Remote keyless entry. 26/31 City/Highway MPG Beaverton KIA is one of the first Kia Dealerships in the United states and is part of the Lanphere Auto Group. We've been around for 50+ years serving the local community on Beautiful Canyon Road...Come see us today for an amazing, no hassle experience! Price does not include tax, title and license. You may qualify for additional Kia rebates! Contact Us for details. Price includes: $2,000 - Kia Customer Cash. Exp. 04/30/2019 2019 Kia Soul Base Rear Camera, Auto AC, Bluetooth Shadow Black 4-Wheel Disc Brakes, Automatic A/C Temperature Control, Convenience Package, Exterior Parking Camera Rear, Fully automatic headlights, Illuminated entry, Power door mirrors, Power steering, Radio: AM/FM/MP3/SiriusXM Audio System, Steering wheel mounted audio controls. 26/31 City/Highway MPG Beaverton KIA is one of the first Kia Dealerships in the United states and is part of the Lanphere Auto Group. We've been around for 50+ years serving the local community on Beautiful Canyon Road...Come see us today for an amazing, no hassle experience! Price does not include tax, title and license. You may qualify for additional Kia rebates! Contact Us for details. Price includes: $2,000 - Kia Customer Cash. Exp. 04/30/2019 2019 Kia Soul Base Rear Camera, Auto AC, Bluetooth Clear White 4-Wheel Disc Brakes, Automatic A/C Temperature Control, Convenience Package, Electronic Stability Control, Exterior Parking Camera Rear, Fully automatic headlights, Illuminated entry, Outside temperature display, Power door mirrors, Radio: AM/FM/MP3 Audio System, Radio: AM/FM/MP3/SiriusXM Audio System, Remote keyless entry. 26/31 City/Highway MPG Beaverton KIA is one of the first Kia Dealerships in the United states and is part of the Lanphere Auto Group. We've been around for 50+ years serving the local community on Beautiful Canyon Road...Come see us today for an amazing, no hassle experience! Price does not include tax, title and license. You may qualify for additional Kia rebates! Contact Us for details. Price includes: $2,000 - Kia Customer Cash. Exp. 04/30/2019 2019 Kia Soul Base Rear Camera, Auto AC, Bluetooth Shadow Black 4-Wheel Disc Brakes, Exterior Parking Camera Rear, Fully automatic headlights, Illuminated entry, Power windows, Radio: AM/FM/MP3 Audio System, Remote keyless entry, Steering wheel mounted audio controls. 26/31 City/Highway MPG Beaverton KIA is one of the first Kia Dealerships in the United states and is part of the Lanphere Auto Group. We've been around for 50+ years serving the local community on Beautiful Canyon Road...Come see us today for an amazing, no hassle experience! Price does not include tax, title and license. You may qualify for additional Kia rebates! Contact Us for details. Price includes: $2,000 - Kia Customer Cash. Exp. 04/30/2019 2019 Kia Soul Base Rear Camera, Auto Lights, Bluetooth Bright Silver 4-Wheel Disc Brakes, Air Conditioning, Exterior Parking Camera Rear, Fully automatic headlights, Illuminated entry, Power windows, Radio: AM/FM/MP3 Audio System, Remote keyless entry. 26/31 City/Highway MPG Beaverton KIA is one of the first Kia Dealerships in the United states and is part of the Lanphere Auto Group. We've been around for 50+ years serving the local community on Beautiful Canyon Road...Come see us today for an amazing, no hassle experience! Price does not include tax, title and license. You may qualify for additional Kia rebates! Contact Us for details. Price includes: $2,000 - Kia Customer Cash. Exp. 04/30/2019 2019 Kia Soul Base Rear Camera, Auto AC, Bluetooth Shadow Black 4-Wheel Disc Brakes, Automatic A/C Temperature Control, Convenience Package, Exterior Parking Camera Rear, Fully automatic headlights, Illuminated entry, Radio: AM/FM/MP3/SiriusXM Audio System, Remote keyless entry. 26/31 City/Highway MPG Beaverton KIA is one of the first Kia Dealerships in the United states and is part of the Lanphere Auto Group. We've been around for 50+ years serving the local community on Beautiful Canyon Road...Come see us today for an amazing, no hassle experience! Price does not include tax, title and license. You may qualify for additional Kia rebates! Contact Us for details. Price includes: $2,000 - Kia Customer Cash. Exp. 04/30/2019 2019 Kia Soul Base Rear Camera, Auto AC, Bluetooth Bright Silver 4-Wheel Disc Brakes, Automatic A/C Temperature Control, Convenience Package, Exterior Parking Camera Rear, Fully automatic headlights, Illuminated entry, Mudguards, Outside temperature display, Radio: AM/FM/MP3/SiriusXM Audio System, Remote keyless entry. 26/31 City/Highway MPG Beaverton KIA is one of the first Kia Dealerships in the United states and is part of the Lanphere Auto Group. We've been around for 50+ years serving the local community on Beautiful Canyon Road...Come see us today for an amazing, no hassle experience! Price does not include tax, title and license. You may qualify for additional Kia rebates! Contact Us for details. Price includes: $2,000 - Kia Customer Cash. Exp. 04/30/2019 2019 Kia Soul Plus Rear Cam, Designer Pkg, Bluetooth Inferno Red 4-Wheel Disc Brakes, Automatic temperature control, Designer Collection Package, Exterior Parking Camera Rear, Fully automatic headlights, Heated door mirrors, Illuminated entry, Leather-Wrapped Steering Wheel & Shift Knob, Radio: AM/FM/MP3 Audio System, Remote keyless entry, Steering wheel mounted audio controls, Wheels: 18" Black Spoke Alloy. 25/30 City/Highway MPG Beaverton KIA is one of the first Kia Dealerships in the United states and is part of the Lanphere Auto Group. We've been around for 50+ years serving the local community on Beautiful Canyon Road...Come see us today for an amazing, no hassle experience! Price does not include tax, title and license. You may qualify for additional Kia rebates! Contact Us for details. Price includes: $500 - Kia Customer Cash. Exp. 04/30/2019 2020 Kia Soul LX Rear Camera, Bluetooth, Keyless Entry Gravity Gray Exterior Parking Camera Rear, Fully automatic headlights, Outside temperature display, Radio: AM/FM/MP3 Audio System, Rear window defroster, Remote keyless entry. 27/33 City/Highway MPG Beaverton KIA is one of the first Kia Dealerships in the United states and is part of the Lanphere Auto Group. We've been around for 50+ years serving the local community on Beautiful Canyon Road...Come see us today for an amazing, no hassle experience! Price does not include tax, title and license. You may qualify for additional Kia rebates! Contact Us for details. Price includes: $500 - Kia Customer Cash. Exp. 04/30/2019 2020 Kia Soul LX Rear Camera, Bluetooth, Keyless Entry Mars Orange/Black Roof 4-Wheel Disc Brakes, 6-Way Adjustable Driver's Seat, Driver vanity mirror, Exterior Parking Camera Rear, Fully automatic headlights, Mudguards, Outside temperature display, Remote keyless entry. 27/33 City/Highway MPG Beaverton KIA is one of the first Kia Dealerships in the United states and is part of the Lanphere Auto Group. We've been around for 50+ years serving the local community on Beautiful Canyon Road...Come see us today for an amazing, no hassle experience! Price does not include tax, title and license. You may qualify for additional Kia rebates! Contact Us for details. Price includes: $500 - Kia Customer Cash. Exp. 04/30/2019 2020 Kia Soul LX Snow White Pearl 27/33 City/Highway MPG Beaverton KIA is one of the first Kia Dealerships in the United states and is part of the Lanphere Auto Group. We've been around for 50+ years serving the local community on Beautiful Canyon Road...Come see us today for an amazing, no hassle experience! Price does not include tax, title and license. You may qualify for additional Kia rebates! Contact Us for details. Price includes: $500 - Kia Customer Cash. Exp. 04/30/2019 2020 Kia Soul LX Rear Camera, Bluetooth, Keyless Entry Snow White Pearl 4-Wheel Disc Brakes, 6-Way Adjustable Driver's Seat, Driver vanity mirror, Exterior Parking Camera Rear, Fully automatic headlights, Mudguards, Outside temperature display, Radio: AM/FM/MP3 Audio System, Remote keyless entry, Steering wheel mounted audio controls. 27/33 City/Highway MPG Beaverton KIA is one of the first Kia Dealerships in the United states and is part of the Lanphere Auto Group. We've been around for 50+ years serving the local community on Beautiful Canyon Road...Come see us today for an amazing, no hassle experience! Price does not include tax, title and license. You may qualify for additional Kia rebates! Contact Us for details. Price includes: $500 - Kia Customer Cash. Exp. 04/30/2019 2020 Kia Soul LX Rear Camera, Bluetooth, Keyless Entry Cherry Black 4-Wheel Disc Brakes, 6-Way Adjustable Driver's Seat, Exterior Parking Camera Rear, Fully automatic headlights, Mudguards, Radio: AM/FM/MP3 Audio System, Remote keyless entry. 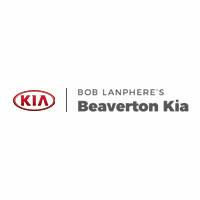 27/33 City/Highway MPG Beaverton KIA is one of the first Kia Dealerships in the United states and is part of the Lanphere Auto Group. We've been around for 50+ years serving the local community on Beautiful Canyon Road...Come see us today for an amazing, no hassle experience! Price does not include tax, title and license. You may qualify for additional Kia rebates! Contact Us for details. Price includes: $2,000 - Kia Customer Cash. Exp. 04/30/2019 2019 Kia Soul Plus Rear Cam, Harmon/Kardon, Special Edition Inferno Red w/Black Roof 2 USB Center Console Chargers, 4-Wheel Disc Brakes, Alarm w/Engine Immobilizer, Audio Package, Automatic temperature control, Exterior Body Kit w/Accents, Exterior Parking Camera Rear, Fully automatic headlights, Leatherette Instrument Hood/Door Center/Armrests, Leather-Wrapped Steering Wheel & Shift Knob, Piano Black Accents, Push Button Start w/Smart Key, Rear Spoiler, Red Accented Interior, Remote keyless entry, Satin Chrome Interior Door Handles, Special Edition Red Zone Package, Sport Pedals, Steering wheel mounted audio controls, Unique Grille. 25/30 City/Highway MPG Beaverton KIA is one of the first Kia Dealerships in the United states and is part of the Lanphere Auto Group. We've been around for 50+ years serving the local community on Beautiful Canyon Road...Come see us today for an amazing, no hassle experience! Price does not include tax, title and license. You may qualify for additional Kia rebates! Contact Us for details. Price includes: $2,000 - Kia Customer Cash. Exp. 04/30/2019 2019 Kia Soul Plus Rear Cam, Harmon/Kardon, Special Edition Inferno Red 2 USB Center Console Chargers, Alarm w/Engine Immobilizer, Audio Package, Automatic temperature control, Exterior Body Kit w/Accents, Exterior Parking Camera Rear, Fully automatic headlights, Leatherette Instrument Hood/Door Center/Armrests, Leather-Wrapped Steering Wheel & Shift Knob, Piano Black Accents, Push Button Start w/Smart Key, Rear Spoiler, Red Accented Interior, Remote keyless entry, Satin Chrome Interior Door Handles, Special Edition Red Zone Package, Sport Pedals, Steering wheel mounted audio controls, Unique Grille. 25/30 City/Highway MPG Beaverton KIA is one of the first Kia Dealerships in the United states and is part of the Lanphere Auto Group. We've been around for 50+ years serving the local community on Beautiful Canyon Road...Come see us today for an amazing, no hassle experience! Price does not include tax, title and license. You may qualify for additional Kia rebates! Contact Us for details. Price includes: $500 - Kia Customer Cash. Exp. 04/30/2019 2020 Kia Soul S Blind Spot, Lane Change Assist, Bluetooth Inferno Red 4-Wheel Disc Brakes, Blind spot sensor: Blind Spot Collision Warning warning, Exterior Parking Camera Rear, Fully automatic headlights, Outside temperature display, Radio: AM/FM/MP3 Audio System, Rear window wiper, Remote keyless entry. 27/33 City/Highway MPG Beaverton KIA is one of the first Kia Dealerships in the United states and is part of the Lanphere Auto Group. We've been around for 50+ years serving the local community on Beautiful Canyon Road...Come see us today for an amazing, no hassle experience! Price does not include tax, title and license. You may qualify for additional Kia rebates! Contact Us for details. Price includes: $500 - Kia Customer Cash. Exp. 04/30/2019 2020 Kia Soul S Blind Spot, Lane Change Assist, Bluetooth Gravity Gray 4-Wheel Disc Brakes, 6-Way Adjustable Driver's Seat, Blind spot sensor: Blind Spot Collision Warning warning, Exterior Parking Camera Rear, Fully automatic headlights, Radio: AM/FM/MP3 Audio System, Remote keyless entry. 27/33 City/Highway MPG Beaverton KIA is one of the first Kia Dealerships in the United states and is part of the Lanphere Auto Group. We've been around for 50+ years serving the local community on Beautiful Canyon Road...Come see us today for an amazing, no hassle experience! Price does not include tax, title and license. You may qualify for additional Kia rebates! Contact Us for details. Price includes: $500 - Kia Customer Cash. Exp. 04/30/2019 2020 Kia Soul X-Line Rear Camera, Blind Spot, Lane Change Assist Gravity Gray 6-Way Adjustable Driver's Seat, Blind spot sensor: Blind Spot Collision Warning warning, Exterior Parking Camera Rear, Fully automatic headlights, Leather steering wheel, Power door mirrors, Radio: AM/FM/MP3 Audio System, Remote keyless entry, Speed control, Steering wheel mounted audio controls. 27/33 City/Highway MPG Beaverton KIA is one of the first Kia Dealerships in the United states and is part of the Lanphere Auto Group. We've been around for 50+ years serving the local community on Beautiful Canyon Road...Come see us today for an amazing, no hassle experience! Price does not include tax, title and license. You may qualify for additional Kia rebates! Contact Us for details. Price includes: $2,000 - Kia Customer Cash. Exp. 04/30/2019 2019 Kia Soul Exclaim Auto AC, 7" Rear Camera, Blind Spot Bright Silver 4-Wheel Disc Brakes, Automatic temperature control, Exterior Parking Camera Rear, Fully automatic headlights, Heated door mirrors, Illuminated entry, Passenger vanity mirror, Radio: AM/FM/MP3 Audio System, Remote keyless entry. 26/31 City/Highway MPG Beaverton KIA is one of the first Kia Dealerships in the United states and is part of the Lanphere Auto Group. We've been around for 50+ years serving the local community on Beautiful Canyon Road...Come see us today for an amazing, no hassle experience! Price does not include tax, title and license. You may qualify for additional Kia rebates! Contact Us for details. Price includes: $500 - Kia Customer Cash. Exp. 04/30/2019 2020 Kia Soul X-Line Rear Camera, Blind Spot, Lane Change Assist Mars Orange/Black Roof 4-Wheel Disc Brakes, 6-Way Adjustable Driver's Seat, Blind spot sensor: Blind Spot Collision Warning warning, Exterior Parking Camera Rear, Fully automatic headlights, Leather steering wheel, Power door mirrors, Radio: AM/FM/MP3 Audio System, Rear window defroster, Remote keyless entry. 27/33 City/Highway MPG Beaverton KIA is one of the first Kia Dealerships in the United states and is part of the Lanphere Auto Group. We've been around for 50+ years serving the local community on Beautiful Canyon Road...Come see us today for an amazing, no hassle experience! Price does not include tax, title and license. You may qualify for additional Kia rebates! Contact Us for details. Price includes: $500 - Kia Customer Cash. Exp. 04/30/2019 2020 Kia Soul X-Line Rear Camera, Blind Spot, Lane Change Assist Snow White Pearl 4-Wheel Disc Brakes, 6-Way Adjustable Driver's Seat, Air Conditioning, Alloy wheels, Blind spot sensor: Blind Spot Collision Warning warning, Exterior Parking Camera Rear, Fully automatic headlights, Leather steering wheel, Passenger vanity mirror, Power door mirrors, Radio: AM/FM/MP3 Audio System, Remote keyless entry. 27/33 City/Highway MPG Beaverton KIA is one of the first Kia Dealerships in the United states and is part of the Lanphere Auto Group. We've been around for 50+ years serving the local community on Beautiful Canyon Road...Come see us today for an amazing, no hassle experience! Price does not include tax, title and license. You may qualify for additional Kia rebates! Contact Us for details. Price includes: $500 - Kia Customer Cash. Exp. 04/30/2019 2020 Kia Soul X-Line Rear Camera, Blind Spot, Lane Change Assist Neptune Blue/Black Roof 4-Wheel Disc Brakes, 6-Way Adjustable Driver's Seat, Blind spot sensor: Blind Spot Collision Warning warning, Exterior Parking Camera Rear, Fully automatic headlights, Leather steering wheel, Power door mirrors, Radio: AM/FM/MP3 Audio System, Rear window defroster, Remote keyless entry, Steering wheel mounted audio controls. 27/33 City/Highway MPG Beaverton KIA is one of the first Kia Dealerships in the United states and is part of the Lanphere Auto Group. We've been around for 50+ years serving the local community on Beautiful Canyon Road...Come see us today for an amazing, no hassle experience! Price does not include tax, title and license. You may qualify for additional Kia rebates! Contact Us for details. Price includes: $2,000 - Kia Customer Cash. Exp. 04/30/2019 2019 Kia Soul Exclaim Auto AC, 7" Rear Camera, Blind Spot Bright Silver Automatic temperature control. 26/31 City/Highway MPG Beaverton KIA is one of the first Kia Dealerships in the United states and is part of the Lanphere Auto Group. We've been around for 50+ years serving the local community on Beautiful Canyon Road...Come see us today for an amazing, no hassle experience! Price does not include tax, title and license. You may qualify for additional Kia rebates! Contact Us for details. Price includes: $500 - Kia Customer Cash. Exp. 04/30/2019 2020 Kia Soul X-Line Rear Camera, Blind Spot, Lane Change Assist Orange w/Black Roof ABS brakes, Electronic Stability Control, Exterior Parking Camera Rear, Low tire pressure warning, Steering wheel mounted audio controls, Traction control. 27/30 City/Highway MPG Beaverton KIA is one of the first Kia Dealerships in the United states and is part of the Lanphere Auto Group. We've been around for 50+ years serving the local community on Beautiful Canyon Road...Come see us today for an amazing, no hassle experience! Price does not include tax, title and license. You may qualify for additional Kia rebates! Contact Us for details.